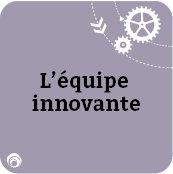 We build teams of innovation champions. Research shows that people think about and solve problems in measurably different ways, which impacts how team members work together. 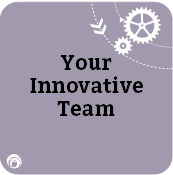 To rise to the challenge of innovation, team members must develop an understanding of their own personal approaches to problem solving, and gain an appreciation of how each of their team mates approach the task. This workshop introduces you to the internationally acclaimed FourSight Thinking System™. You will discover how you personally engage in the creative problem solving process, and how greater awareness of individual thinking preferences strengthens a team’s capacity to problem-solve, innovate, and get the job done. We will use the FourSight Thinking Profile™ to create Your Team Report, which shows team members how their individual thinking preferences to clarify, generate, develop and implement ideas relate to team results when it comes to problem solving, collaboration, communication and innovation.